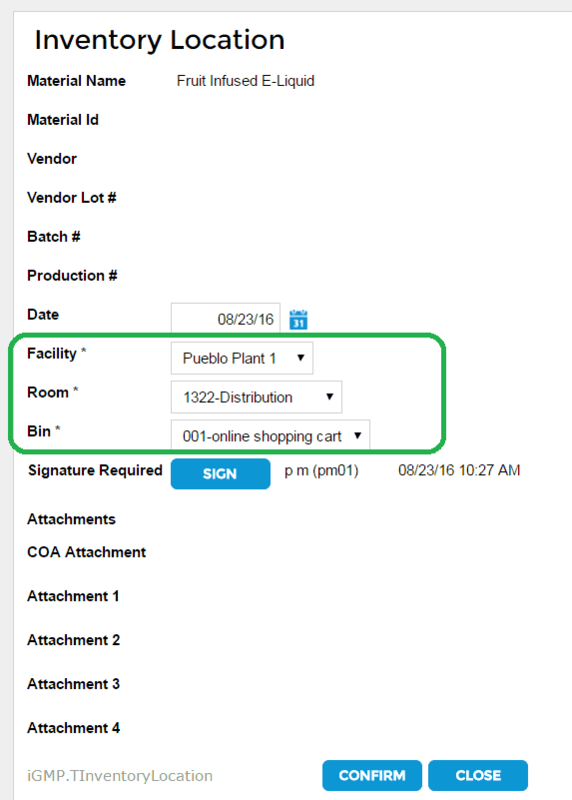 The Bin Location feature allows users to create virtual location Bins and assign their location to Rooms within Facilities. Materials can be assigned to the bins and moved from one bin to another by selecting a new location and applying a digital signature. Bin locations allow for better tracking of material storage throughout a single or multiple facilities. Many bin locations can be assigned to one room. Many receipts can be assigned to a bin. Bins can be named and must be numbered. Changing the Bin location of a material may be facilitated by the use of a barcode scanner. 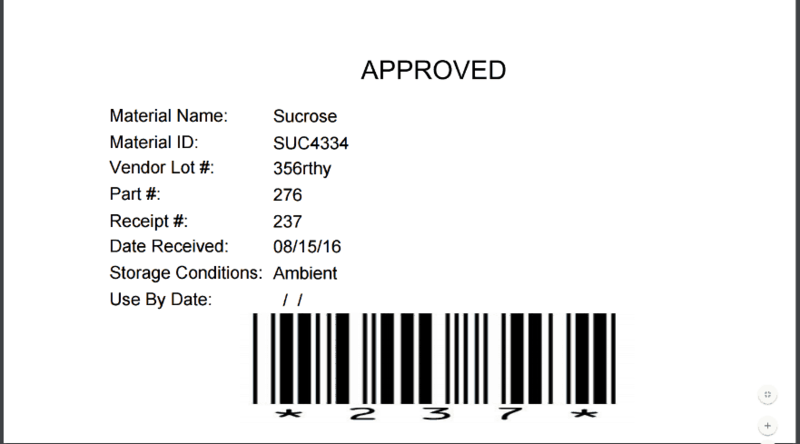 Users can scan the receipt label on the material to be directed to the correct screens to assign a Bin location to the receipt.